Roll On Two Chimney Cakes | Halifax Seaport Farmers' Market Ltd. Roll On Two Chimney Cakes is the first bakery of it’s kind in Halifax, Nova Scotia. Chimney cakes are a traditional Hungarian pastry, dating back hundreds of years. 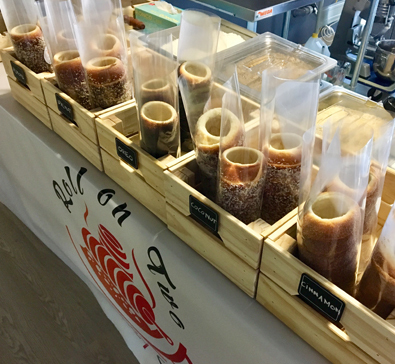 At the Halifax Seaport Farmers’ Market, Roll On Two Chimney Cakes offers five delicious flavours: almond, coconut, Oreo, cinnamon and walnut. They also sell chimney cakes filled with whipped cream, Nutella or caramel. Find these freshly made Hungarian pastries upstairs at the Market in the Galley every Saturday and Sunday.